iPhone 8 is officially launching in just over a week. If rumours are correct, the so-called 'Edition' will launch alongside the less-impressive iPhone 7S and 7S Plus. This screen will be larger than that of the 5.5-inch iPhone 7 Plus. KGI Securities' Kuo predicts that Apple will use a 5.8-inch panel for the iPhone 8, but that some of the screen space will be used for virtual buttons. Apple will use an OLED, Organic Light Emitting Diode display, rather than an LCD panel for its new smartphone. According to KGI Securities' Kuo predicts that all new iPhone models will come with support for USB-C power delivery through the Lightning connector, which should enable quicker charging when plugged in. Apple joined the Wireless Power Consortium earlier this year, which could be a signal that wireless charging is indeed in store for future iPhones. Apple's new iPhones lets you pick from the three colours available, which includes black, silver and gold. The iPhone 8 is expected to be available in 64GB and 256GB storage capacities. However, Chinese social media account GeekBar, claims Apple could launch a new 512GB option, which would be a first for iPhones. The iPhone 8 will be officially launch on 12 September. 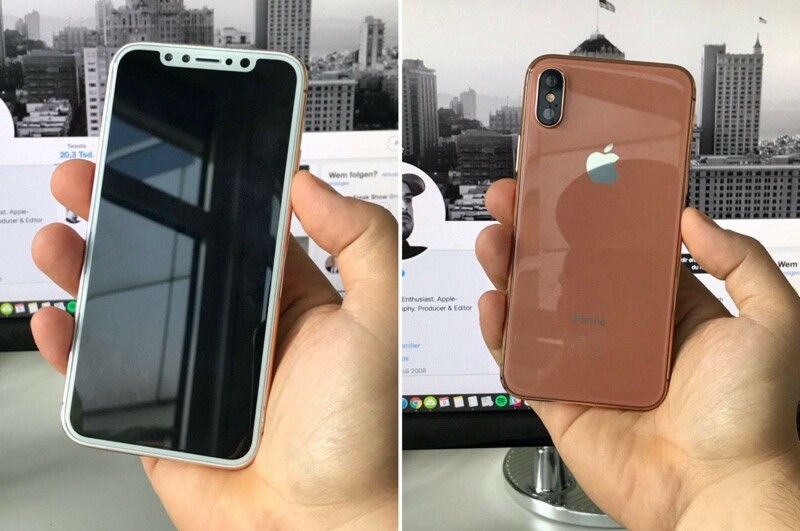 However, Digitimes is reporting that mass production of the iPhone 8 is on schedule and that the smartphone will see release in October. Price of iPhone 8 in Nigeria. iPhone 8 will be more expensive than this year's release, with some analysts claiming that the highest-spec model will be the first iPhone to cost more than $1,000 which is approximately ₦ 358,610.05 CBN rate. We will update you when it is out and in Nigeria for the accurate price.